Here is one more mens accessory suggestion for you today. 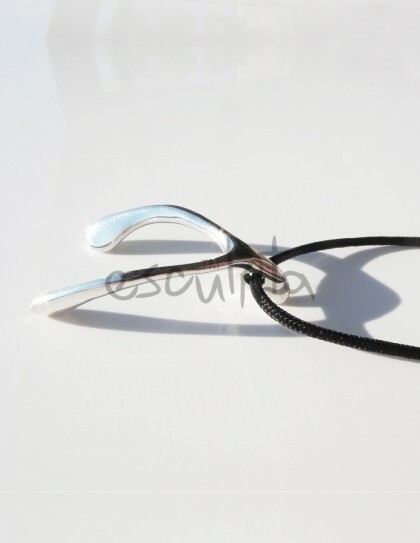 The Wish Bone Pendant by Esculpta is made of 925 sterling silver and comes with a adjustable chord (with slide knots). The wishbone is known as a symbol of good luck in quite a few countries and cultures. The pendant was inspired both by the symbolism of the wishbone but also by the simple fluidity of this naturaly occurring form. Artfully hand-crafted in Greece in limited quantities exclusively for Esculpta.